Powder in Back Bowls In Vail, CO.
Vail is open for skiing 150 days a year on average. So, why limit your trips to the holiday season and spring break? 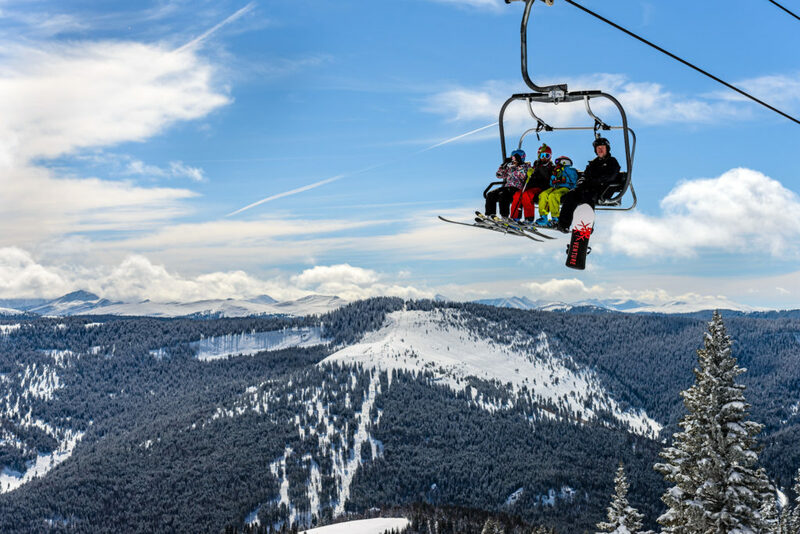 With fewer visitors, better conditions, deals on accommodation, and longer, bluebird days, an off-peak getaway to Vail delivers great value and world-class skiing and riding. For the best deals, think late January, Super Bowl weekend, the second half of February and most of March. So, round up your best buddies or partner in crime and plan your escape. You’ll soak up a secret side of Vail that’s all yours. Whether you want to explore the entire 5,289-acre resort or lap the wide open groomers under Chair 2 all morning, fewer skiers and boarders mean less waiting and more riding. Be sure to download the free EpicMix app to track all your vertical feet. 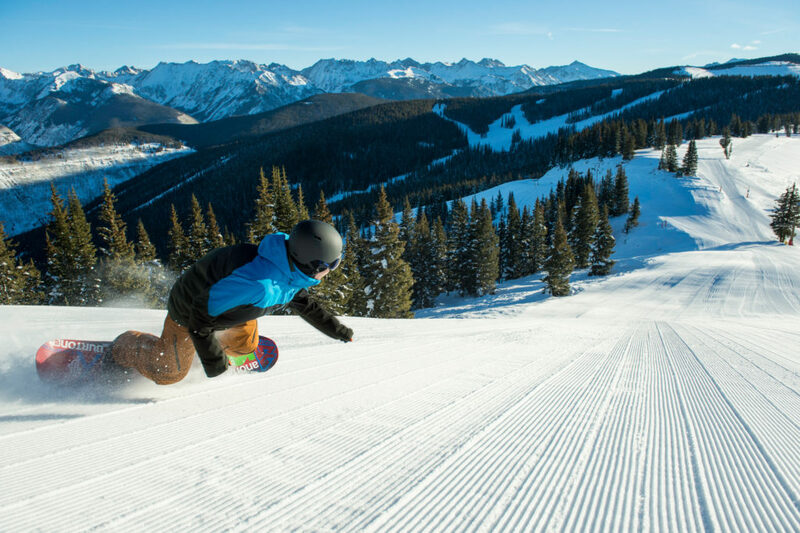 Famous for its five-star grooming, Vail’s epic groomers are second to none. With more snowcats and groomable terrain than any resort in the country, Vail has perfected the art of the cruiser. 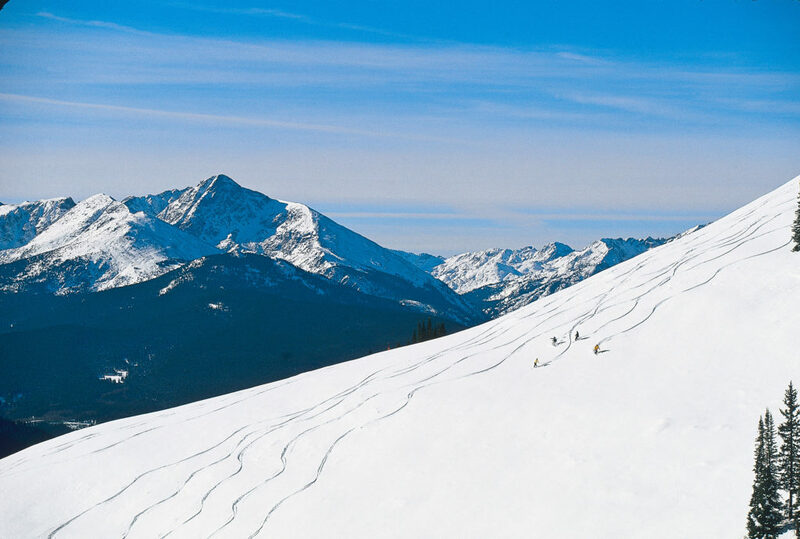 Top Pick: savor Riva Ridge, Vail’s single longest run clocking in at four miles, from top to bottom after the snowcats smooth out this speedy beast. You’re sure to glide into the base of the Village with a huge smile on your face, itching to do it all over again. Fewer people means more pow for you. Head to Vail’s legendary back bowls like China Bowl or Blue Sky Basin, where you can find countless pillowy powder stashes, even if it hasn’t snowed for a few days. With 3,000 acres of panoramic back bowl slopes at your disposal, it’s easy to find freshies all season long. Ski during off-peak weeks and you’ll enjoy even more time knee deep in untracked snow. 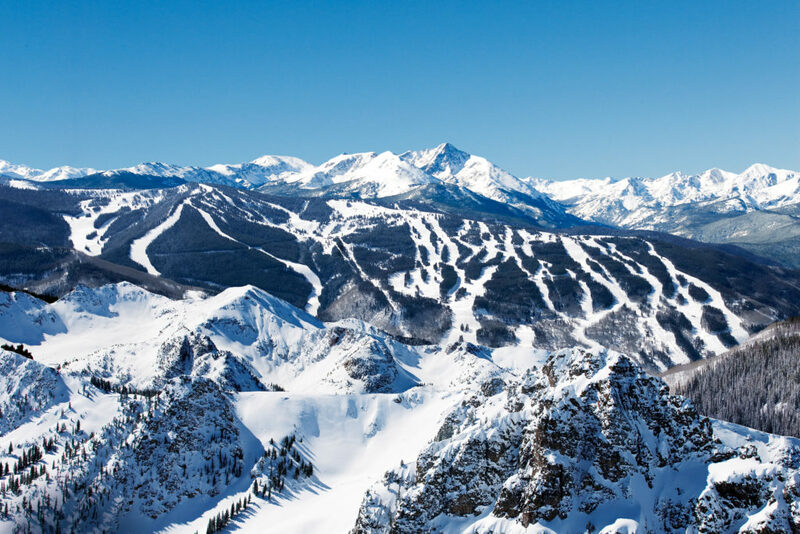 When you visit Vail in Late January or early February, you’re likely to experience optimal snow conditions and completely open terrain. That translates to 31 lifts servicing nearly 200 trails. You could ski for a week and still not do the same run twice. Save money when you book rooms off-peak. Search The Vail Collection to find luxury hotel rooms, spacious condos, and even private chalets at special prices. Unlock spectacular winter 2018 deals right now at the historic Lodge at Vail, located in the heart of Vail Village. This intimate boutique resort, just steps from Gondola One, will charm you with its old-world European design, two gourmet restaurants and 7,500 square foot spa. For a once-in-a-lifetime experience, book the Game Creek Chalet, a private residence located at 10,500 feet atop Game Creek Bowl on Vail Mountain. Looking for steals on skis, boots, apparel, goggles and more? 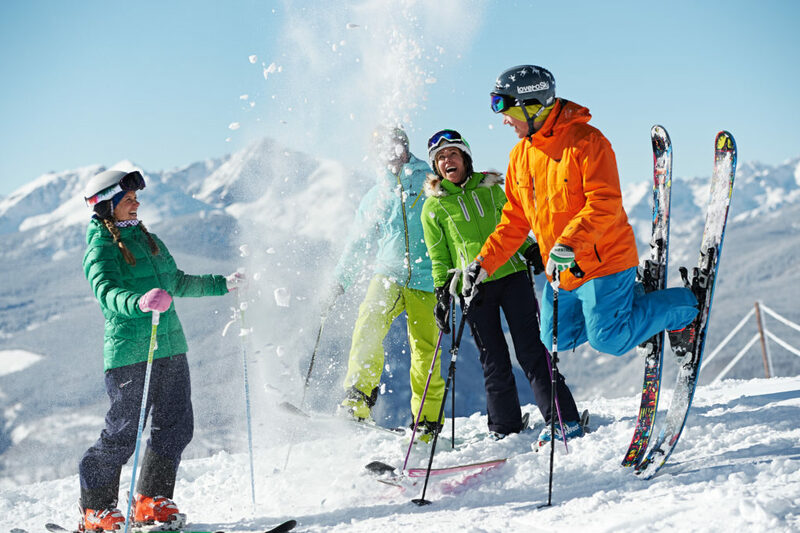 The off-peak season is the perfect time to restock your kit at any of our Vail Sports locations. 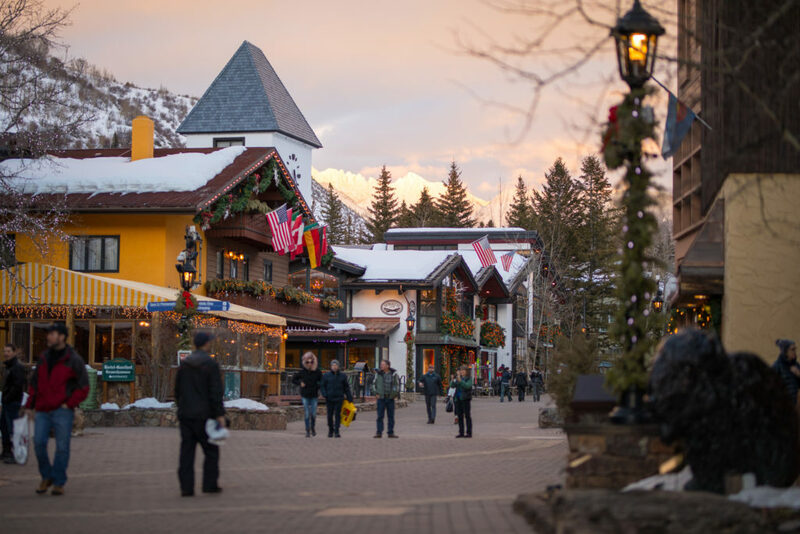 But, with more than 150 shops lining the cobblestone streets, Vail Village has so much more to offer than just cutting-edge gear. Peruse art galleries, jewelry shops, fashionable boutiques, toy and pet stores, and more. 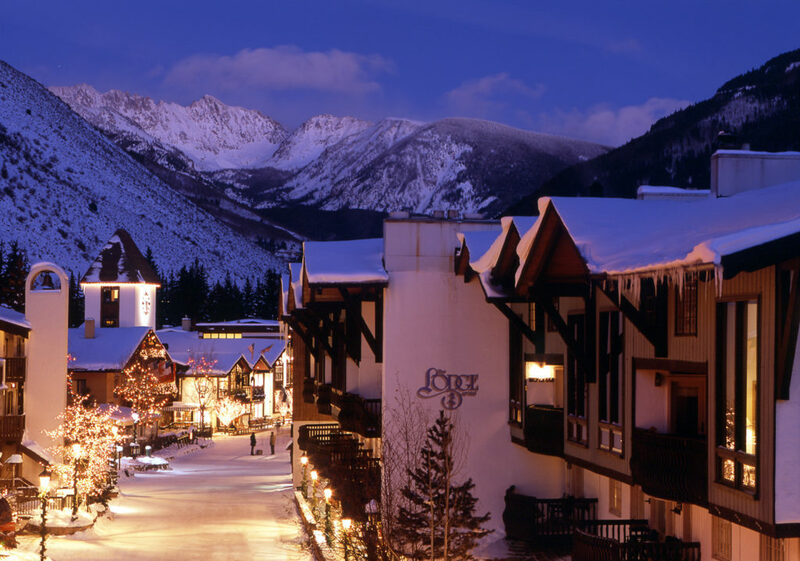 Vail’s iconic village with the Gore Range Mountains capturing the sunset in Vail, CO. Enjoy one of Colorado’s 300 sunny days a year to the fullest when you visit later in the season. 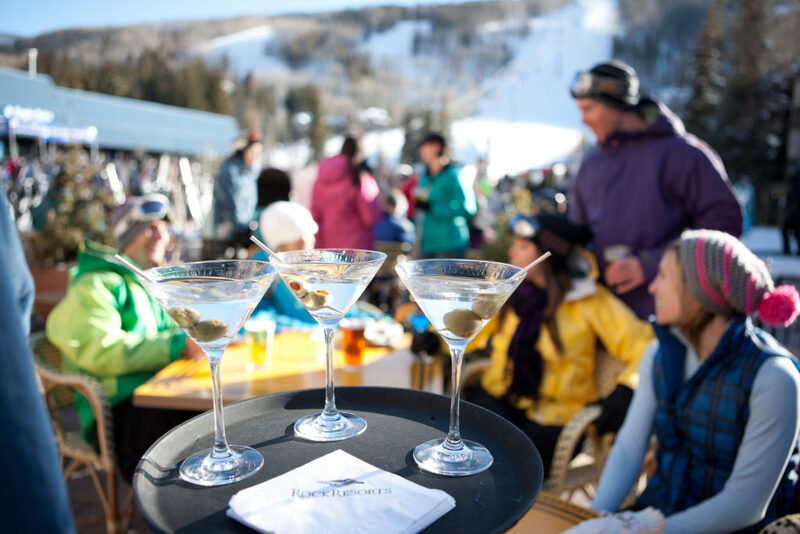 That adds up to more vertical feet on sun-drenched slopes, more sunbathing on Vail’s numerous on-mountain decks, and more outdoor après beers at hotspots like Garfinkel’s in Lionshead and the new Express Lift Bar at the base of Gondola One in the Village.